Printing on paper is still an essential part of everyday business. But printing documents from mobile devices is not straightforward because they’re never really fully compatible with the printers. In the series on our blog today, we explain what the current options are for mobile printing. Nowadays, nearly all printer manufacturers offer apps (“Printing Services”) which take data from your mobile device and put it on paper. These Printing Services do not come with the usual drivers and installation programmes – usually, all you need is the app and a printer that is compatible with it. Via the app, you can send documents, emails or pictures directly to the printer. Some suppliers make this process even easier by skipping the app and giving the printer its own email address. Other solutions for mobile printing via email provide an email server to which the user sends their print request. In some cases, it is possible to define the output options using code(e.g. printer, number of copies).With this kind of email server, several printers from one manufacturer can be connected. For this set-up, the mobile device and the printer must be connected to the same WLAN, or the printer must be connected to the internet. WLAN printers have built-in internet access and therefore do not need an upstream computer to be connected for them to be controlled via the internet. Along with the solutions from various printing manufacturers, there are also offers from various mobile device manufacturers. For example, the majority of large printer brands support the Apple printing service, AirPrint.This service is compatible with printers from a wide range of different manufacturers – the coverage is relatively broad. Samsung, for example, also offers a printing function on its mobile devices. The mobile device and the printer must both be connected to the same WLAN network for this to work. 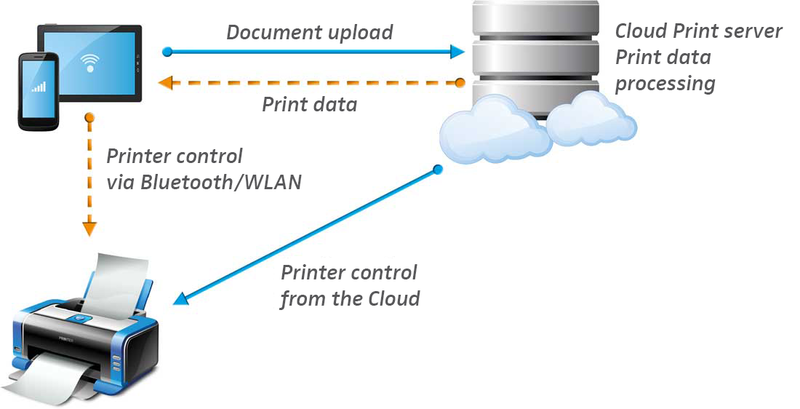 Cloud printing services such as Google Cloud Print use a different approach, with the print preparation and control of the printer taking place via a cloud server.For this, the printer must be web-enabled or have access to the internet via an active, connected computer. The documents to be printed are uploaded onto the cloud server via an app. This is where the print preparation process and spooling takes place.Firstly, the printer is connected to the cloud server and is then controlled directly from there.It is easiest to use Google Cloud Print in conjunction with the cloud service “Google Docs” and Android devices.A new update also allows Google Cloud Print to be used by standard Windows applications, such as Microsoft Office. With the cloud printing services the print job can be directly sent to a cloud printer or back to the mobile device and transferred then. Another version of cloud printing allows you to carry out just the print preparation via the cloud once the documents have been sent. 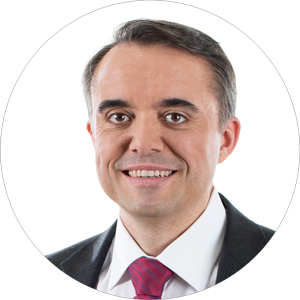 The documents are then printed out from the selected printer using the app and the user’s mobile device via WLAN or Bluetooth. Missed part 1? Please click here!